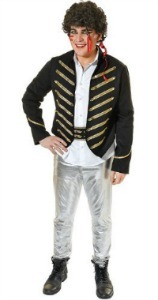 In 1979, the original Adam & The Ants released their first album "Dirk Wears White Sox". Sadly, they disbanded shortly after the album's release. However, a new line-up and a new sound saw bigger commercial success for the band. Released in 1980, "Kings Of The Wild Frontier" spawned three hit singles, "Dog Eat Dog" which reached no.4 in the UK charts, "Antmusic" which reached no.2 and the title track which reached no.2 again. More success followed with the release of the final album, "Prince Charming" in 1981. This was the peak of the band's career and there were three more hit singles - "Stand & Deliver", which was No.1 for five weeks in the UK, "Prince Charming" (Also a No.1 in the UK and featuring Diana Dors in the video) and "Ant Rap", which reached No.3 in the UK. This was the peak of the band's career and there were three more hit singles - "Stand & Deliver", which was No.1 for five weeks in the UK, "Prince Charming" (Also a No.1 in the UK and featuring Diana Dors in the video) and "Ant Rap", which reached No.3 in the UK. 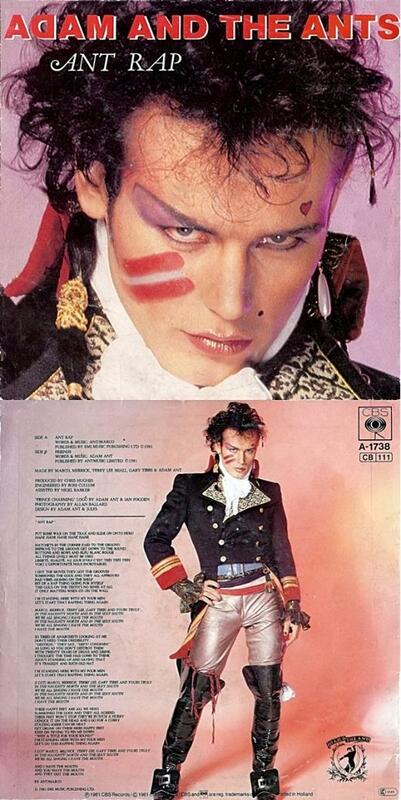 In October 1982, Adam Ant released his first solo album "Friend Or Foe", featuring the singles "Goody Two Shoes" which reached No.1 in the UK, "Friend Or Foe" (no.9) and "Desperate Not Serious" which was a minor hit reaching no.33. Sadly, Adam Ant was on the slippery slope after this when his second solo album "Strip" was released in 1983, reaching only no.20 in the UK charts. However, the single "Puss 'n' Boots" did do well and reached no.5 in the UK singles chart. 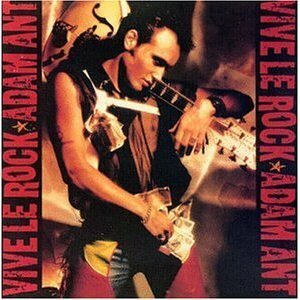 Another album "Vive Le Rock" released in September 1985 just failed to reach the top 40, reaching no.42. However, the single "Apollo 9" did reach no.13 a whole year earlier in September 1984. 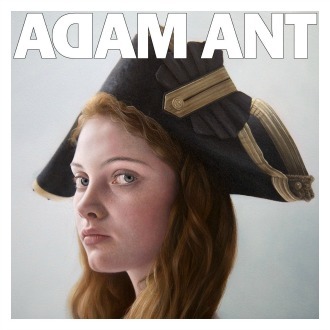 The one year gap between the release of this single and the album probably didn't do Adam Ant any favours as pop music buyers are a fickle bunch! Adam Ant being interviewed by Lee Hawkins in 2012. The final video clip in the playlist above features Adam Ant's video Cool Zombie from 2012 which was included on the album Adam Ant is the Blueblack Hussar in Marrying the Gunner's Daughter - yes, that really is the title! Adam Ant Official Fan Club Newsletter Ant News Today 1985 issue 4. This song was the title track and second single release from Mr Ant's third solo album. It was the follow-up to Apollo 9, but only peaked at #50 in the UK during 1985. Here is Adam being interviewed by Sally James on the Saturday morning Kid's UK TV Show Tiswas in 1981. Apologies for the poor quality of this video, but as with the Tiswas video above, it is an old home recording from the early 80s. It Features Adam on Swap Shop in 1981.